The topic of genetically modified organisms (GMOs) is a very confusing subject and is often like opening up a can of worms when brought up. But while the topic may be hotly debated, recent studies are showing harmful effects that could convince many more to join the “nay” side. In fact, according to this recent research, GMOs could be tampering with your DNA! There are more than 60 countries that either ban GMOs or require special labeling with GMO products. In the U.S., GMO-labeling initiatives continued to be defeated in 2014, including one in Colorado (“Proposition 105”) and one in Oregon (“Measure 92”). Other notable defeated GMO-labeling initiatives include Washington State in 2013 and California in 2012. Monsanto is the biotech conglomerate always at the forefront against these initiatives. In 2013, Monsanto donated $4.8 million, and in 2012, it donated $7.1 million against the campaign. PepsiCo, Inc., The Coca-Cola Company, and Nestlé S.A. are other major corporations that fight against GMO labeling. Are GMOs Safe for Human Consumption? Having said that, fast-forward 10 years and evidence is now being published in reputable scientific journals that correlates possible health effects and genetically modified foods. The most recent study was published late last year in the Journal of Organic Systems. The researchers found a correlation between many serious diseases and an increased use of genetically modified crops and the “Roundup” herbicide glyphosate. Some of these health conditions were strokes, hypertension, diabetes, metabolic disorders, autism, Alzheimer’s disease and dementia, obesity, multiple sclerosis, Parkinson’s disease, inflammatory bowel disease, and certain cancers, such as bladder, pancreas, kidney, liver, and thyroid. Glyphosate has also been deemed safe by studies from Monsanto; however, other evidence links glyphosate to endocrine system disruption, human DNA damage, autism, Parkinson’s disease, and Alzheimer’s disease. What Effects do GMOs Have on the Body? In a 2004 study published in the journal Nature Biotechnology, researchers concluded that GMO DNA is harmless after the digestion process. There was a low level of DNA found in the digestive tract after consumption of GMO soy meal. However, in another study, this time from 2014 and published in the prestigious scientific journal PLOS ONE, researchers found that large, meal-derived DNA fragments from genetically modified foods can be directly transferred into the bloodstream. A team of researchers from universities in the U.S., Denmark, and Hungary observed the GMO assimilation process of more than 1,000 human samples in an analysis from four independent trials. One of the blood samples even contained higher plant DNA concentrations than human DNA. In other words, GMO DNA is not completely broken down in the digestive tract during digestion. The GMO pieces remained whole and did not degrade into smaller nutrients, such as amino acids. There are also other reasons to avoid GMO foods besides the health concerns. New modified gene populations are now popping up, including canola with a combination of herbicide resistance genes and transgenic traits. Organic farms are also sometimes exposed to GMO pollution. Also, the heavy use of herbicide may pollute rivers, lakes, and groundwater. It is quite the challenge to avoid GMO foods, especially when your diet contains an abundance of processed foods—they are found in an estimated 30,000 products in grocery stores. The major genetically modified ingredients you should avoid include canola, corn, and soybeans, but also watch for soybean and corn derivatives, such as soy lecithin, soy protein isolates, soy flour, soy soil, high-fructose corn syrup, cornstarch, corn flour, and corn oil. When you avoid GMO products, it is also a good transition away from processed foods in general. The Non-GMO Project is a third-party verification, non-profit organization that is committed to the education of non-GMO choices. For a complete list of GMO ingredients and non-GMO products visit http://www.nongmoshoppingguide.com/. “Backgrounder: Summary of Human Risk Assessment and Safety Evaluation on Glyphosate and Roundup Herbicide,” Monsanto web site, May 2005; http://www.monsanto.com/products/documents/glyphosate-background-materials/gly_human_risk.pdf. 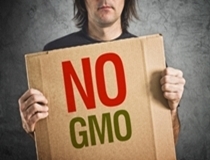 Benson, J., “DNA from GMOs can pass directly into humans, study confirms,” Natural News web site, June 24, 2014; http://www.naturalnews.com/045710_GMOs_gene_transfer_DNA.html. “Companies Against GMO Labeling,” Inspiration Green web site; http://www.inspirationgreen.com/vote-yes-on-37.html, last accessed January 19, 2014. “Election 2014: GMO Labeling Initiatives Defeated, but Momentum Continues,” Food Tank web site, November 6, 2014; http://foodtank.com/news/2014/11/election-2014-gmo-labeling-initiatives-defeated-but-momentum-continues. Netherwood, T., et al., “Assessing the survival of transgenic plant DNA in the human gastrointestinal tract,” Nature Biotechnology February 2004; 22(2): 204–209. Sawnson, N., et al., “Genetically engineered crops, glyphosate and the deterioration of health in the United States of America,” Journal of Organic Systems 2014; 9(2): 6–37. Spisák, S., et al., “Complete Genes May Pass from Food to Human Blood,” PLoS ONE July 30, 2013; 8(7): e69805, doi: 10.1371/journal.pone.0069805. Walla, A., “New Study Finds A “Very Strong” Correlation Between GMOs And Two Dozen Diseases,” Collective Evolution web site, January 17, 2015; http://www.collective-evolution.com/2015/01/17/new-study-finds-a-very-strong-correlation-between-gmos-and-two-dozen-diseases/.